Dr. Sunddip Aguilar has been in the field of education for over 15 years. She started her career teaching students in middle school, high school, and online before shifting to postsecondary education. She has developed curricula and traveled around the world providing teacher training. In addition to working in education, she has been nominated to serve on several boards of directors to help organizations make positive changes in meeting their mission, vision, and goals. She has been an award-winning faculty member at Walden University, American College of Education, and Vancouver Community College. As an educational consultant and workshop presenter, she has developed undergraduate and graduate curricula in the United States, Canada, Africa, and the United Kingdom, as well as facilitated sessions in China, India, and Japan. She is the author of the book Teacher Survival Skills: An Action Plan for Successful Teaching and has been published in Research in Higher Education, the African Journal of Disability, and Beyond Sustainability. She was president of the Vernon Punjabi Heritage Society Board of Directors and was a member of the Board of Governors for Okanagan College. 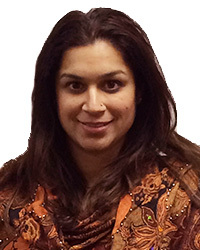 Her educational background includes a Bachelor of Science in Biology from Simon Fraser University, a Bachelor of Education in Secondary Education from University of British Columbia, and a Master of Education in Curriculum and Instruction and a Doctor of Educational Leadership from the University of Phoenix.